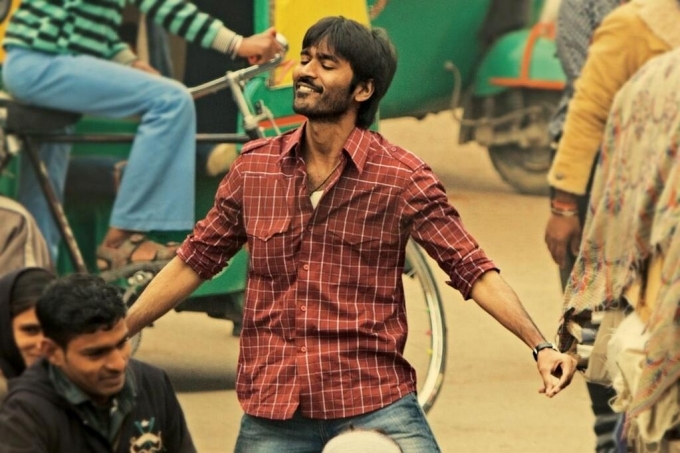 With friends setting their facebook status’ as ‘Whenever Dhanush appears in the movie Raanjhanna, they should display “This is the Hero of the movie” message on the screen.’, we wondered how we would spend over two hours gazing at a hero as plain as Dhanush. But with options like Enemmy and Shortcut Romeo, we thought why not! Raanjhanaa, a movie directed by the Director of one our favorite movies Tanu Weds Manu, starts in the religious city of Kashi and travels to the political by-lanes of New Delhi. 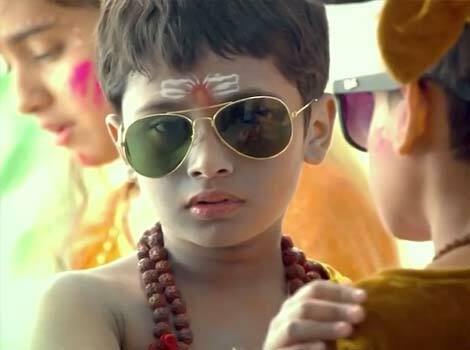 A tambram kid (Dhanush as Kundan) dressed up as Shiv on the occasion of Dussera falls in love with a young cute girl (Sonam Kapoor as Zoya) offering namaz. This love was one sided (from Kundan’s side) and hence came with 15 odd slaps and a couple of wrist slitting. Far from taking the hint, he grins and tries again and again. But because of Kundan’s ‘consistency’, Zoya changes her mind. Few years later, when Zoya is back after higher studies, the story continues with Kundan still trying to pursue her. 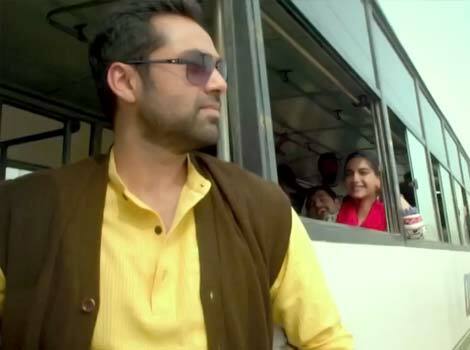 But she confesses her love for a wannabe politician Akram (Abhay Deol) from her college. The first half of the movie is a beautifully-packaged ‘lame’ love story with moments of inter-religious tension. In the second half, the story takes a contemporary political turn. Here, we were confused with the sudden turn…We were figuring out as to what’s exactly happening (really now! type of feeling 😛 ), but at the same time wanted to know whats next! 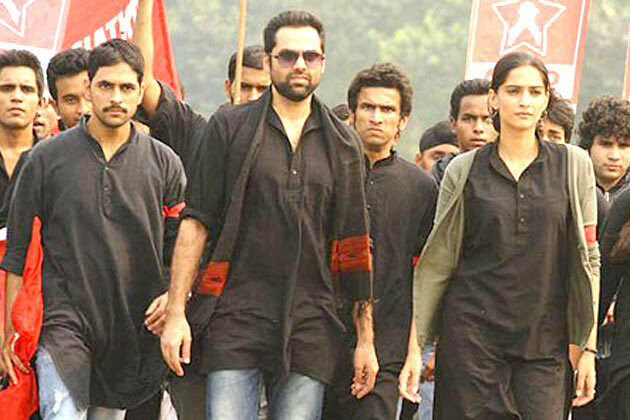 Dialogues written by Himanshu Sharma, is clearly the highlight of the film. The dialogues actually allows the audience to laugh a li’l, amidst the serious story-line. 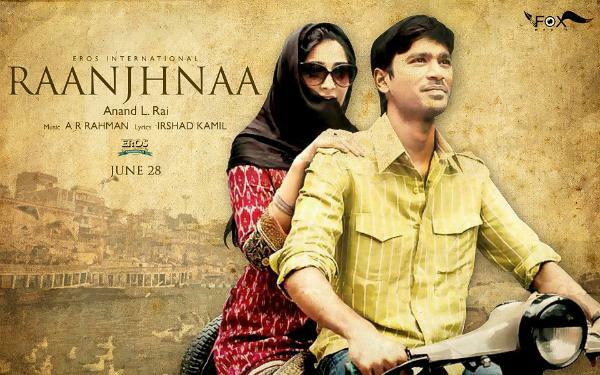 In all, even though there are many loose ends in the movie which makes it a li’l out-of-focus in the second half, Story Soviets recommends that you watch the movie at least once to witness Dhanush’s grand entry into Bollywood, Sonam Kapoor’s cute but best performance of her career, A. R. Rahman’s awesome music and Himanshu Sharma’s quirky dialogues…Go watch and tell us if you agree! ← Movie Review: Fukrey – Sluggishly Peppy! Small correction… its 16 slaps…. Do you have the dialogue of Abhay on hospital bed?